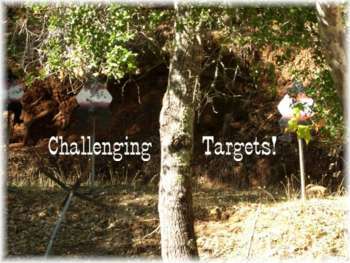 every 3rd Saturday at a private range in Morgan Hill, CA. If you are interested in attending one of our matches, email Wif for directions. 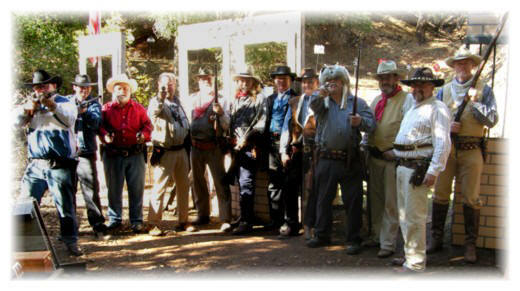 or double action revolvers 1917 S7w, Colt, Webleys, etc. strippers, or extra magazines for reloads. Any SASS legal match rifle. Pre 1918 bolt, lever or single shot rifle in a period correct caliber. See the long-range page for additional models. but they can be stoked with more than two on the clock. SASS guidelines on bullet type and velocities apply.